We’re going on two weeks of government shutdown, with tourists hoping to see national parks having to sneak in or go home. Thousands of park workers have been furloughed and local businesses who generate income from tourism are feeling the pinch. Several U.S. states are taking matters into their own hands, effectively paying the federal government so that they can reopen. 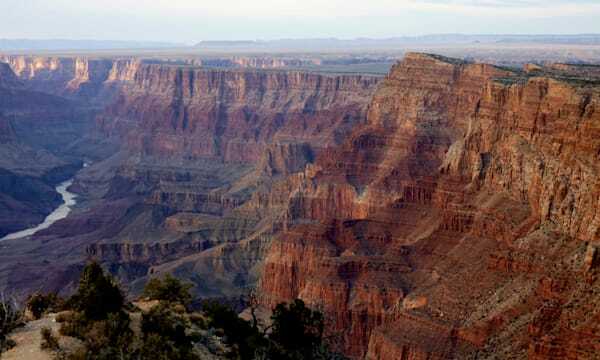 Arizona: It’s costing $651,000 to open the Grand Canyon for a week, though no money is allotted past that time and some local businesses worry it won’t help them in the long run. Colorado: Over 10,000 visitors went out the Rocky Mountain National Park this weekend after the state reached an agreement to pay over $40,000 per day to keep it open. New York: The Statue of Liberty re-opened yesterday, costing New York $61,000 per day out of its tourism budget — but visitors generate an estimated $350,000 daily. South Dakota: Mount Rushmore will cost over $15,000 a day to reopen, with corporate donors helping the state open the park again today. Utah: 8 attractions will reopen today, including Bryce Canyon and Zion National Park, at a cost of $166,000 per day. See the status of all the national parks here. There’s finally a bit of good news for travelers impacted by the Federal Government shutdown with the announcement that Utah will reopen five of its national parks despite the ongoing closures around the country. Utah made a deal with the government to pay to keep its parks open. The state will cough up more than $166,000 a day for up to 10 days for the privilege, with the money going to the National Park Service. In total, eight Utah attractions will reopen to visitors. This includes five national parks, namely Bryce Canyon, Zion, Capitol Reef, Arches, and Canyonlands National Park. In addition, the Glen Canyon National Recreation Area, as well as the Cedar Breaks and Natural Bridges national monuments will once again welcome tourists.As we’ve mentioned before, the shutdown hasn’t stopped some visitors from sneaking into the parks, with a number of tourists caught jumping the fences as Grand Canyon and Zion National Parks. The reopening of the parks will ensure that visitors are able to get inside and that they pay to do so – a key factor behind the state’s decision to go against the shutdown. Utah’s Governor says the state’s national parks are fundamental to the local economy and the closures had come at a particularly bad time. Good weather tends to draw large crowds in October, meaning the parks usually earn about $100 million during this month alone. Utah’s national parks will reopen by Saturday.